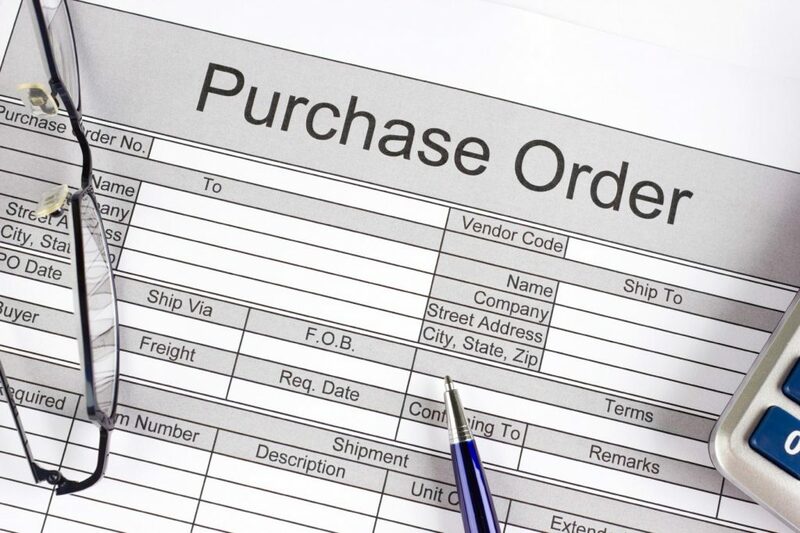 A purchase order is a commercial document sent by a buyer to a supplier for the purpose of ordering goods or services. While invoices are drafted by the seller, consumers are responsible for filling out their purchase order form. Using the correct purchase order format is essential to helping your customers have a seamless shopping experience and doing bank reconciliation later on. Thankfully, there is a variety of software applications that you can use to help make the perfect purchase order format. Officewise is a low-cost online system for creating purchase orders. The easy to use system allows you to save time on procurement and many other operations. You can use the software to create purchase orders, submit purchase orders for approval, approve and reject purchase orders and send purchase orders to vendors. In addition, Officewise features useful tools to keep track of vendor bills and item receipts. The web-based software requires no installation, too. So you can get started creating the perfect purchase order format for your needs right away. Check out Officewise if you need an affordable purchase order management software for your business. SmartDraw is a popular purchase order form software. Featuring dozens of templates for a variety of industries, SmartDraw is sure to have what you need to meet your consumers’ needs while optimizing your cash flow management. Depending on your company size, SmartDraw is available for a one-time purchase of $200 or more. With that, you will receive form templates, applications and invoices, as well as a multitude of other business solutions. If you want more to your software application than a simple purchase order format, SmartDraw may be a good choice. SpendMap is another application that is perfect for creating your ideal template. As a fully functional purchase order software, SpendMap is a one-stop shop for PO management. Not only will you find the perfect format, but you will also enjoy automated control and tracking of these forms. The best part, SpendMap is completely free of charge! If you want to streamline your order process with a simple, easy to use application, this one is definitely for you. Many business owners are familiar with the accounting software, QuickBooks. What many do not know, however, is that this program provides templates for purchase orders so that you can customize to your needs. With an easy check-box interface for specific format titles, business owners can specify the exact information they will need for their PO. These documents will certainly help you access mezzanine funds too. If you are looking for a purchase order format alongside invoices and useful accounting tools, QuickBooks is the program for you. JotForm is another site that provides PO templates free of charge. In addition to the traditional format, this application also allows business owners to choose specific designs and themes for their forms. This customization is great for e-commerce stores or online orders. It will also help streamline warehouse fulfillment processes by organizing all the information you need. If you want something that places both functionality and style at your fingertips, you need JotForm. Finally, another great choice for PO formats is Microsoft Word. Most business owners are familiar with this application, which is why it is so great to use. Microsoft Word has a variety of free templates embedded in the program. Simply search “purchase order” and choose your ideal template. Then, you can add and customize certain bits to fit your business or manufacturing accounting needs. For something simple and reliable, go for Microsoft Word. Crafting the correct purchase order format is the key to any successful business. If you want your customers to place orders that can be fulfilled quickly and efficiently, you will need a proper PO form. Choose one of these software programs above and find the purchase order format that is right for you.